Please do NOT use this number to try to book accommodation if you wish to avail yourself of the agreed 4NCL rates and arrangements. Please see Accommodation Booking Service section below. 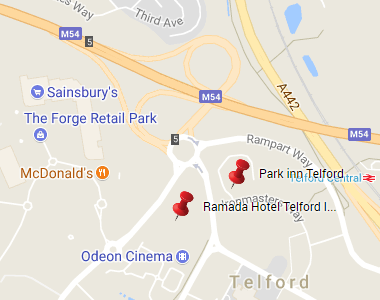 Players are recommended to confirm parking arrangements with the hotel either before arrival or at reception on arrival. Some of our hotels employ third party contractors, and parking penalties may be levied if vehicle details are not provided to the hotel. Guaranteed Events will contact you to confirm accommodation arrangements on receipt of your entry form, which will be forwarded automatically to (online entry forms), or scanned and emailed to Guaranteed Events by the 4NCL (postal entry forms). In the event of any booking queries please contact the Guaranteed Events call centre using the contact details below. Please contact the Guaranteed Events call centre using the contact details below, whether making block bookings on behalf of a team or booking individually. You will be able to book your accommodation for the hotels that 4NCL use ONLY through this process and NOT directly with the hotel if you wish to avail yourself of the agreed 4NCL rates below. Dinner rates are between £15 and £20 depending on the hotel. Please check with Guaranteed Events when booking. We recommend that you pre-book your evening meal in order to take advantage of the discounted dinner rate. Junior players pay half price for dinner. Juniors are defined as from below 12 years old to below 16 years old depending on the hotel. Please check with Guaranteed Events when booking. Extra night prices, upgrades and special requests are available and again must be booked through Guaranteed Events at the time of booking, not on arrival. Payments can be taken by cheque, debit card, credit card and BACS transfers. Credit card payments carry a 2% fee, debit cards do not. American Express is also accepted. Rooms will be allocated on a “first come first served” basis. So if a booking can be catered for within the bedroom allocation for the hotel where play takes place that will be done. If it cannot be catered for within that allocation, the booking will be placed at an overflow hotel. When you make a booking credit card details will be requested and an invoice issued. Payments can also be made by cheque, debit card or BACS transfer (see above). Amounts due will be debited to your credit card on the Monday after the weekend. Rooms can be cancelled without charge up to five full working days before the weekend (and will be reallocated elsewhere). If cancellations take place after this deadline, Guaranteed Events will use their best endeavours to reallocate the room, but if this cannot be done you will be liable for the room cost. In practice, however, demand for rooms is such that the likelihood is that they can be reallocated in almost all cases. Guaranteed Events will do their very best in special/mitigating circumstances to avoid cancellation charges, although this cannot be guaranteed. Guaranteed Events do not aim to benefit financially from anyone's misfortunes. Evening meals ideally need to be booked along with the room. Dinners can of course be booked directly on site, but any discounted rates will in all probability not be available. Booked dinners will be charged for if not taken. Pre booked evening meals are chargeable in full even if not taken. Please note that hotel loyalty programmes/cards cannot be used when booking through Guaranteed Events. Block bookings will be accepted if accompanied by the captain’s/manager’s credit card details. Rooms will be allocated on a “first come first served” basis. So if a block booking can be catered for within the bedroom allocation for the hotel where play takes place that will be done. If it cannot be catered for within that allocation, the block booking will be placed at an overflow hotel. When a block booking is received a proforma invoice will be issued to the captain/manager. The block booking is not confirmed in the absence of this proforma invoice. Players can phone up before the weekend with their own credit card details to pay for their room (or pay by cheque, debit card or BACS transfer – see above) if that is the arrangement they have in place with their captain/manager. Invoices will be issued to players at that point. Captains/managers are liable for any bedrooms not paid for separately by their players. Amounts due will be debited to players’ credit cards on the Monday after the weekend. Amounts due from captains/managers in respect of unpaid rooms will also be debited to captains’/managers’ credit cards on the Monday, and an invoice issued for the balance. Rooms can be cancelled up to five full working days before the weekend (and will be reallocated elsewhere). If cancellations take place after this deadline, Guaranteed Events will use their best endeavours to reallocate the room, but if this cannot be done captains/managers will be liable for the room cost. In practice, as you know, demand for rooms is such that the likelihood is that they can be reallocated in almost all cases. Names can be changed on existing bookings at any point. 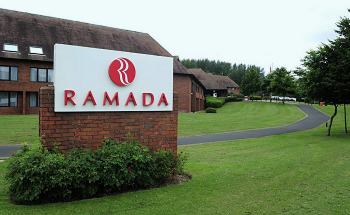 However, because hotels are seemingly struggling to cope with late name changes, Guaranteed Events will send final rooming lists to the hotels no later than the Wednesday before the weekend. Any room bookings at this point for which individual credit card details have not been received will be allocated a unique booking reference number. If players contact Guaranteed Events with their credit card details after the Wednesday deadline they will be given this unique booking reference number to quote when they arrive at the hotel.